I am back. I have been a bit busy lately and I somehow couldn’t upload any recipes. I went to Australia and I stayed there for 15 days. It was an awesome experience, beautiful people and wonderful places. From the food’s point of view, I ate a lot of Vietnamese, Japanese, Korean, Thai cuisine. I went to the Queen Victoria’s Market in Melbourne, that was packed of fresh produce, and I also went to the Sydney;s Fish Market and it was unbelievable. 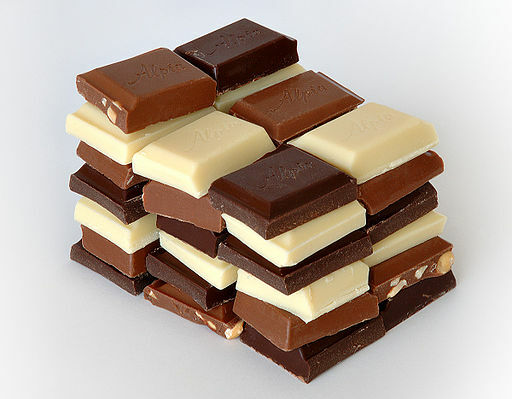 I will start to prepare chocolate based recipes for the next 7 days starting from today. Chocolate has always been one of my irresistible temptations. I prefer dark chocolate. I love dark chocolate with salt and milk chocolate with nuts and raisins. Oh what the hell, I love dark chocolate with mint (after eight). Anyways, most of these recipes are new for me so I will be experimenting and sharing them.